Today, I would like to talk about money and wallets. By the way, what kind of wallet do you have? Actually I was using a bi-fold style for around five years. 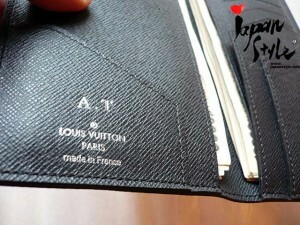 It had cost just about ¥3,000 (US$38), no specific brand, and was getting worn out. What’s more, it was too fat with shop cards and receipts and it looked ready to explode! At the time I didn’t care so much about my wallet and, even though it was overstuffed and tattered, I thought it was pretty normal. But I saw my mother after a long time, and she scolded me, saying “your wallet looks terrible!” I didn’t understand why she was so agitated. She told me that as long as I kept using the bi-fold wallet I would not save any money; thus a new pocketbook-style long wallet would be necessary. Thanks to her long experience she has learned some features of well-off peoples’ wallets. 1. Using different carriers for bills and coins (a long wallet and a change purse). 2. Always having some crisp new bills in the the pocketbook. 3. Have minimum number of cards (for simple use). 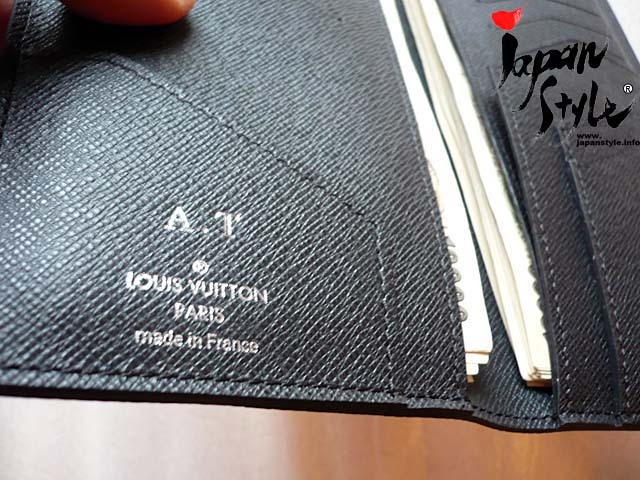 1 and 3 are important for giving the wallet a slim profile. 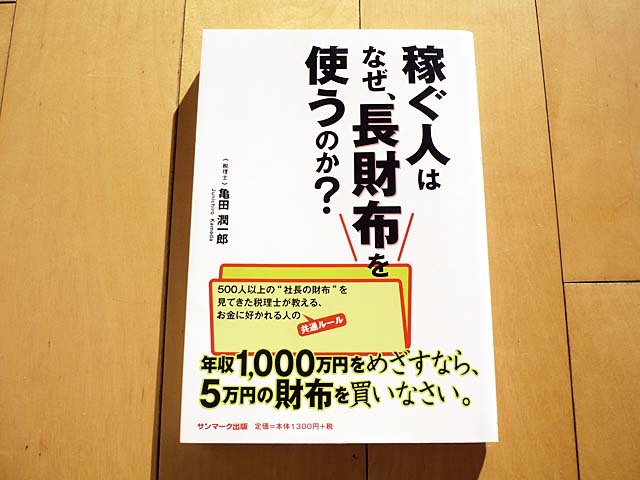 The book was titled Why Wealthy People Use Long Wallets by Japanese author Junichiro Kameda. Mr. Kameda is a tax accountant. He works closely with enterprise owners and people of means. Over time he noticed trends and common features of the way these people carry cash. When I first heard the story about wallets, I thought “It doesn’t make any sense. There seems be no scientific evidence. The kind of wallet somebody has cannot affect their spending and saving habits!” I didn’t care about the book so much, and left it on my desk for many days. One day out of curiosity I happened to pick up the book and start reading. It’s a good book and it took no more than an hour to finish. I still have a feeling that the ideas in it lack scientific foundation, but I found that they nevertheless made sense. Here are some outstanding phrases from the book. – You have to think of money and yourself always together – money as a piece of your life. If money escapes your wallet, you can’t just sigh over the situation that you don’t have money. First of all you have to think of spending money as spending a little piece of your life. 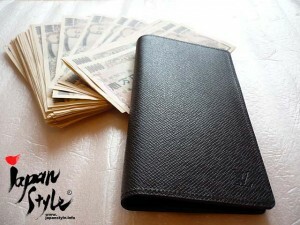 – Observe the “200 x annual income” rule (your yearly income will be 200 times of the price of your new wallet). – When paying for something, consider the receiver’s feelings. You might want to use brand-new bills. It means that it is difficult for someone insensitive to save money. – Frequency of cash withdrawal from bank should be no more than two times a month. This helps you can positively control your money. – Say “see you later ” when you spend and “welcome back” when you receive money. If you can do it without doubt, that means you are using money in a proper way. – Have an idea that even small consumption can be your future investment. For example, even when you buy cheap junk food and save a bit of money, it becomes meaningless if the cheap food harms your health. I was inspired by my mother’s idea and bravely decided to get a new wallet. Also I thought that making something new at the beginning of the year might be good. 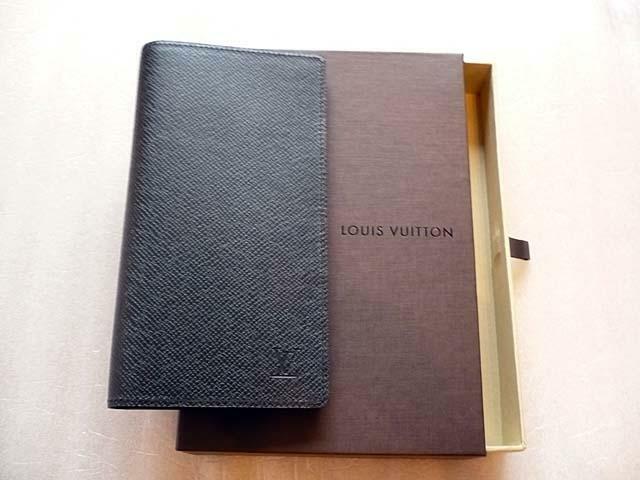 The wallet I bought was from the Taiga series by Louis Vuitton. 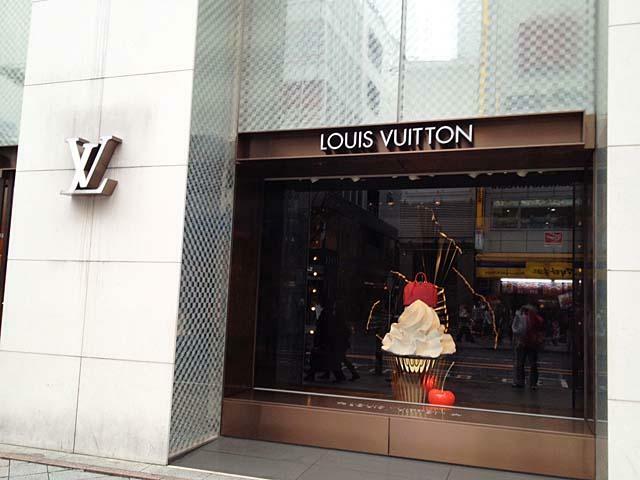 I was a bit nervous when I talked to a sales clerk at the Louis Vuitton shop, because it was my first time to enter a high-end brand shop (and not for window shopping). They provide free initial engraving, so I asked for that as well. The story is not done yet. The wallet became quite full with the cash (100 pieces of ¥10,000 bills). I made a wish that a lot of money would always exist in my wallet. And soon, after a few days, I returned the cash to the bank Lol. Now everything is ready. You can count on it! I spent ¥50,000 for the wallet, so cheap instant noodles might be the main course on my dining table for a while. However, I have no regrets. Please do give it a try!